K.9 Fight Academy is a fightsports gym based in Great Yarmouth. Classes run 7 days a week and are taught by some of the most successful coaches in the East of England. 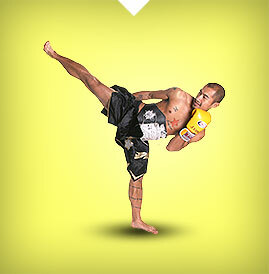 Our fighters regularly represent the National kickboxing team, and they fight at major tournaments all over the world. They have won over 100 titles in Muay Thai, Kickboxing, K1 and Boxing. The club was founded in 1989 by Dave Munro as Comanches Gym, but is now run as a community club with a commitee of coaches. Dave was the first coach from the region who travelled to Thailand to train and fight and has been taking students there to train and compete since 1989.